Thank you for your interest in learning more about Central Florida Earth Day! Please contact the appropriate person for your question or comment. 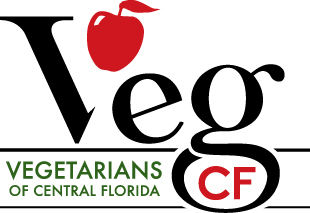 ​If you are interested in being a vendor or a ﻿volunteer﻿ at Central Florida Veg Fest, please go to those pages for information before contacting us. For general information about Earth Day, please contact Larry Rumbough at info@CFEarthDay.org or 321-331-1859. For information about volunteering at Earth Day, please contact Malila Robinson at Malila@CFEarthDay.org or 732-241-7631. For information about speakers at Earth Day, please contact Jenna Bardroff at Jenna@CFEarthDay.org or 941-730-4745. For information about the kids zone at Earth Day, please contact Kristin Eaves at Kristin@CFEarthDay.org or 813-765-9776. For information about food at Earth Day, please contact Nikki Namdar at Nikki@CFEarthDay.org or 407-212-2478. For information about music at Earth Day, please contact Anthony Rouhana at ﻿Anthony@CFEarthDay.org﻿ or 407-731-0755. For information about the artist corner at Earth Day, please contact Kristen Baker Kristen@CFEarthDay.org or 845-891-6437. For information about the animal haven at Earth Day, please contact Brittany Lizotte at Brittany@CFEarthDay.org or 321-316-1461. For information about the raffle at Earth Day, please contact Elaine Fiorelli at Elaine@CFEarthDay.org or 407-970-5569. For information about donations at Earth Day, please contact Emily Sarasa at Emily@CFEarthDay.org or 786-384-3107.